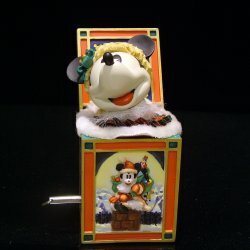 Mickey Mouse Musical Figurine  - $12.48 : Big City Market, Big City Market Delivers it All! Mickey Mouse is ready to spread some Holiday cheer!! With a gentle twist of the key, this wonderful figure plays the tune "Jolly Old St. Nicholas" as Mickey's head moves slowly to the music. 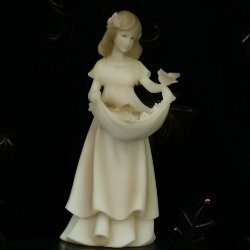 This darling musical figurine will bring a bit of Holiday cheer to any room in your home. Measurements are approximately 6 inches high X 2 inches wide and is made of a heavy resin compound.